Remember that promo from the early days of MTV where a TV set gets dropped off a building and explodes? It was a powerful metaphor for . . . well, we’re not sure what. 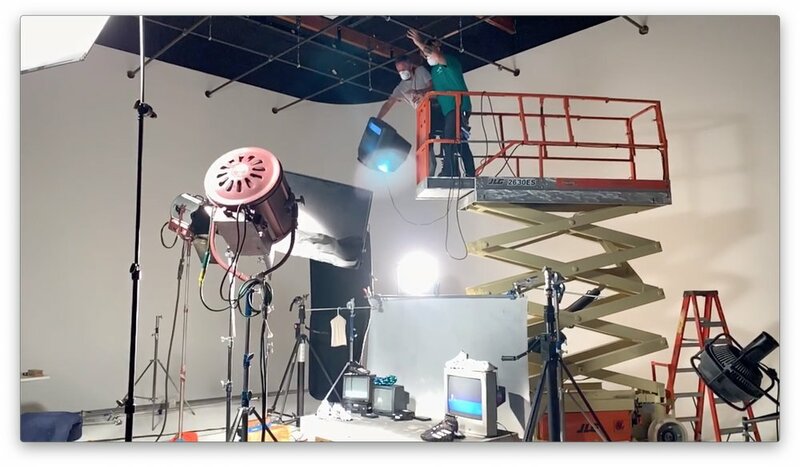 Anyway, the Linden Collective agency recently had a video shoot at our soundstage where they captured that edgy, exploding tube TV vibe for Adidas Glitch soccer shoes. First of all, the Glitch shoes are very clever. They have an interlocking Inner Shoe that fits like a glove and then an outer skin that goes over it. So that just by swapping out skins, you can completely change the look of your cleats. It’s sort of the way a new phone case makes it look like you have a new phone. 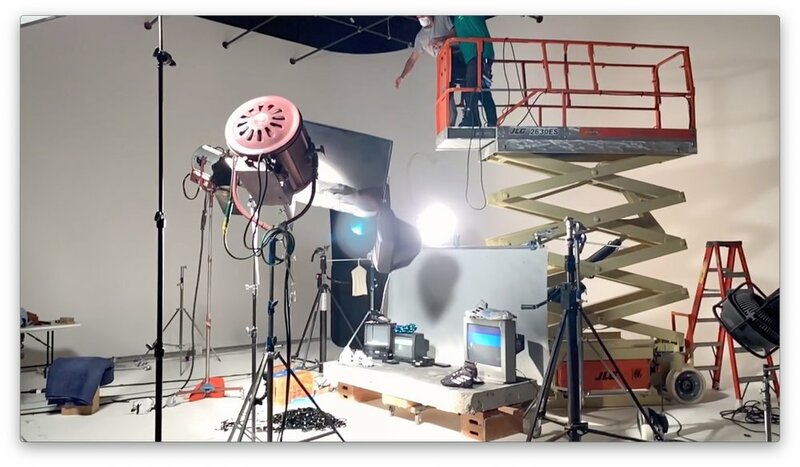 Creative Director Keaten Abbott teamed up with Producer Josh Dwinal and DP Patrick Eggert to create the retro, glitchy VHS look for the shoot. As of this writing the full video has not yet been released, but you can see one “glitchy” shot of a shoe on our Facebook page.